Who could resist An invitation to Afternoon Tea from Jo Malone? I could hardly contain my excitement on discovering Jo Malone’s latest innovation – a fragrance that is inspired by tea! Jo has created a range of tea fragrance blends but by some strange coincidence my favourite is Earl Grey & cucumber, aptly named “afternoon tea”. Aromatic, atmospheric, fragrance transports you back to the time when you last experienced that same particular aroma. Memories float into being before you can even place the thought. Like no other sense, smell can stop you in your tracks. I adore the evocative nature that smells stimulate – the fresh smell of the air after it has rained, pungent blue hyacinths and warm bluebell woods. Tea also has a very distinctive aroma. Breathing in the smell of dried tea leaves, I always think of my grandmother’s kitchen, boiling water hissing and the aroma of warming tea. Tea with Mary Kate was thrilled to discover another use for tea. Jo Malone’s “afternoon Tea” fragrance is a really gorgeous blend of bergamot, cucumber, beeswax, vanilla and musk. I love the description for this delightful fragrance “a playful twist on the British tradition of high tea”. Just the perfect fragrance to wear for a very memorable afternoon tea. It is limited edition, so do rush to Jo Malone’s soon! Indulge me, I know you will be converts already to the health benefits of tea. 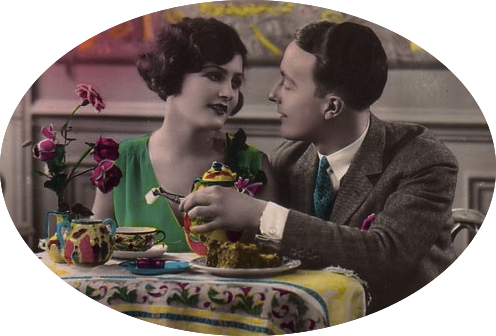 Indeed, while no other reason is required for the wonderful experience of drinking tea than it is a comforting, calming pleasure, alongside that unavoidable fact that there is a fantastic diversity of flavours to tantalise the taste buds – I think there is another addition to the health benefits of drinking tea. As well as inner health, what about the outer benefits? Let’s start with the conventional – Beautiful Skin Tea! A rather lovely blend from Neal’s Yard Remedies. I make no apology of my blazon support for this quintessentially British Institution. 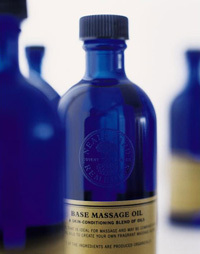 Pioneers in natural therapies when most were focused on the chemical & synthetic, its vision was to bring the apothecary back to life – I love the fact that Neal’s Yard wanted to connect with the knowledge of the past – & it is really resonating now more then ever. Drink your way to beautiful skin indeed! The Beauty of White Tea – A healthful alternative to Drinking it! White tea is the precious newest part bud, packed with high quality of antioxidants which can mop up free radicles that damage & ages skin. The lovely part here is that is all smells gorgeous too. My favourites include organic eye make up remover, White tea eye gel, but there is also a white tea enriching facial mask that looks rather tempting. I do think this an alternative for the tea industry of the future. What do you think? Neal's Yard White tea products - The alternative to Drinking Tea! Here I am, tea in hand, sitting by the fire, contemplating the very appealing prospect of a Neals’ Yard Orange & Geranium bath, a truly therapeutic, not to mention gorgeous smelling experience. Neal’s Yard Remedies is a quintessentially British Institution. Pioniers in natural therapies when most were focused on the chemical & synthetic, its vision was to bring the apothecary back to life – I love the fact that Neal’s Yard wanted to connect with the knowledge of the past – & it is really resonating now more then ever. Neal’s Yard focus is on health & happiness & way’s of improving our well being. I have been a huge fan since its inception & went to extraordinary lengths to stock up on its products when I lived away from old Blighty a few years ago. Their rose cream is one of their many award winners & has truly healing properties. Other favourites include white tea toning eye gel, frankinscence hydrading night cream as well as a fabulous range of shampoos. I guarantee that the smell alone will send you rushing back for more. I would love to visit the eco-headquarters and physic garden in Gillingham, Dorset where they design, test and make all their own products. Neal’s Yard admit to being obsessed with discovering and delivering natural ways to improve health & also believe passionately that the environment is of vital importance, & support and promote organic farming and the use of certified organic ingredients in their products. Of course, they also sell tea! Very healthy, therapeutic tea! Lemon Balm & Rose tea is one of my favourites. Neal’s Yard also say no, it’s a clever way of promoting their ethos & I for one will continue to seek out their creative range of healing products.